Prom is an exciting time in any teen's life. This is especially true for those budding fashionistas out there. Getting ready through prom dress up games can be found virtually as well as at home. You can take a walk down the catwalk to show off your style or use these games to help you shop for the best prom dress. There are many virtual makeover sites where you can create looks for the prom. You can try out different avatars and choose prom dresses and accessories on your virtual model. Most games start off with a model and various prom options to choose from. The games are not set up as challenges but opportunities to create fun looks for the prom. What Happens on Prom Night? 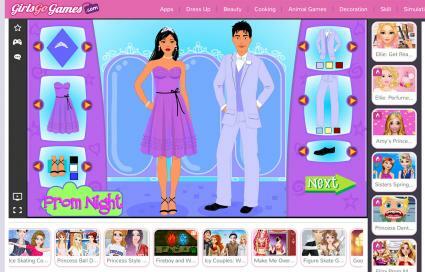 Dress Up Games offers an array of free prom dress up games for tweens and teens. These click and play games don't require any registration. Get the top look by exploring Prom Shop. Perfect for teens looking to mix and match styles. Princess Vintage Prom Gowns let you explore vintage style gowns that will spice up the night. Dress up your model in different styles to find the best look. DIY Prom Dress lets you create your own prom dress from the ground up by using pieces from thrift store finds. 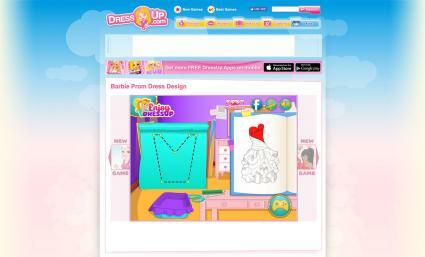 This free site for dress up games has a whole prom games section. Just click and enable Flash then you are ready to go. High School Prom lets teens design the perfect prom outfit for three friends along with accessories. Think sparkles! Get your prom fashionista on with Barbie Prom Dress Design. Teens can design her whole look from the ground up, starting with the perfect shape dress. Choose the perfect dress, accessories and shoes for both you and your date in Prom Night Dress Up. This free game can be loads of fun for youth trying to find the trendiest styles and color combinations for their prom attire. When playing online games, never give out any personal information to people you do not know. Get permission from a parent before going onto any gaming websites. There are many games available online that don't ask for personal information or require you to sign up or create an account. Always ask permission before downloading any programs onto your home computer. In addition to online games, you can find apps that are easily downloaded to your phone or tablet. These games typically require registration to play and allow you to get a bit more in-depth in your prom concept creation. 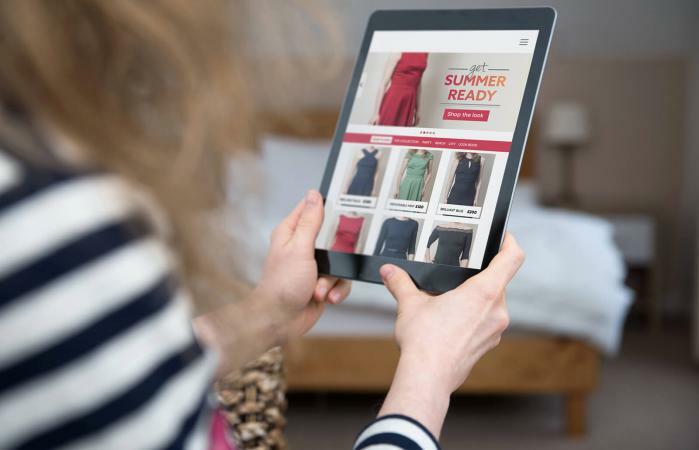 With more than 200 clothing items, you can't go wrong playing this Android products app. Dress up six of your friends in the sparkliest dresses, accessories and shoes to find out who will be the prom queen. Designed for everyone, this app received over 4 stars by users. Become an online fashion designer as you design top looks for these girls hitting up the prom scene. Pick the top trending looks from over 150 different items. Whether it is shoes, handbags, tiaras or hair clips, find the hottest color combinations and make your girls stars. Designed for everyone, this fashionistas dream was given well over 4 stars on the Google Play Store. With this app, available for download at iTunes, teens and tweens can show off their design skills by creating a whole prom look. From the dress to the accessories to the shoes, you can meld your fabulous fashion sense and wow your friends. Available for everyone, this free app offers dozens of different styles that you can just drag on to your avatar. It was also given over 4 stars by users. Looking for a more personal touch. Try out prom dress up games you can play at home. Research three (or more depending on the people) different hairstyle and makeup trends that you like. Each person should pick one style in both makeup and hair. If two people like the same style, flip for it. Starting with the hair, have your friends use the styling products to try to mimic the style. Now, use the makeup to mimic the makeup style you were assigned. Each person should now dress up their style with accessories like jewelry, tiaras, etc. Have each person display their style through a runway catwalk. Grab a piece of paper and pen. Each person should rate the styles from best to worst, based on execution and cuteness. The one with the highest score wins. Once you have the materials, it's time for the know-how. All the players should follow these steps to find the perfect prom dress. Peruse the internet or style magazines finding dresses, accessories, shoes, hair, etc. that you like. Print or cut the styles out of a magazine. Carefully cut out the different pieces. Glue the selfies and the styles into your notebook. Noting how the different styles look on you. Have your friends rate each different style from 1 to 10. One is the best. The outfit with the highest score wins. Make it unique and create your own prom dress styles as well. If you want to skip the glue, scissors and notebook, there are apps available that will let you try on clothes after uploading an avatar. However, these aren't specifically designed for prom dresses so finding the perfect prom outfit might be harder. Finding prom dress up games for teens can be hard; however, there are a lot of different online games, apps and at home games that you can try to curb your prom fever. From dressing up a virtual avatar to showcasing your unique style, find the avenue fills your void and get playing.